I feel like a kid waiting for the ice cream truck. Only a few days left. It’s late March. I keep checking the Quad page, waiting for “coming soon” to disappear. On a serious note, who do you think is going to have these in stock first? who do you think is going to have these in stock first? Getting products into retail channels requires time, a significant amount of effort, and a generous dose of luck in the form of the blood of a Leprechaun. Doesn’t it take 25-40 days for ocean transit from China to Canada. Plus transit time to the departure dock plus 5 days for customs and 5 days transit from the destination dock. What’s really hard is finding enough qualified sailors to man the oars. You’re out of leprechaun blood? Can you fix the SHIPFREE code to actually give free shipping? It gives a discount of $13.50, but the only shipping option is “Ground (2 or more units)” for $18.75. (updated) Closer… now it is $15.00 shipping, with a $13.50 discount. Fixed ing now. Sorry! The discount was set to be calculated by weight and we didn’t take into account that the QUAD is heavier. Should be OK in a few minutes. Wow. 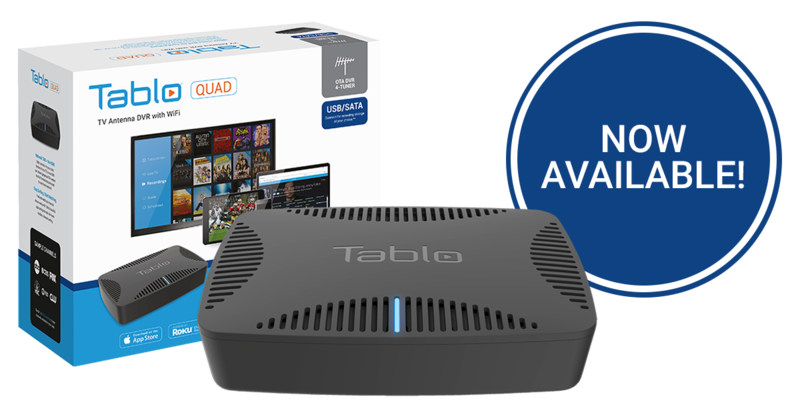 I was just reading about how this will be available late March and contemplating whether I want the two channel or four. I come to this community for the first time ever and four minutes prior a Tablo person posts that it’s now for sale. If this isn’t poetry and destiny, I don’t know what is. 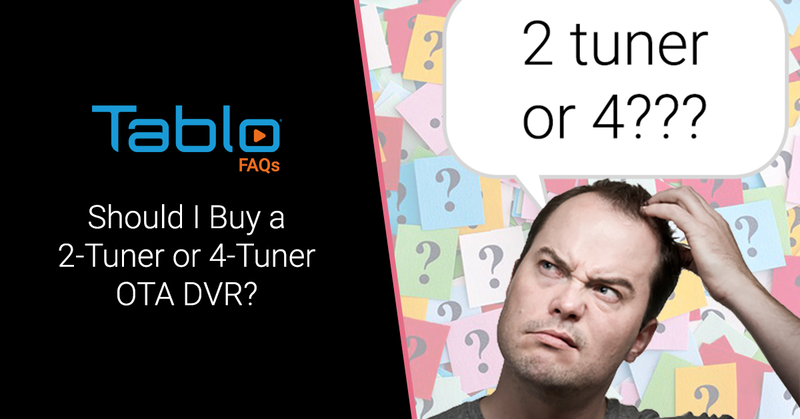 Do yourself a favor and get the 4-tuner (just get the Quad).